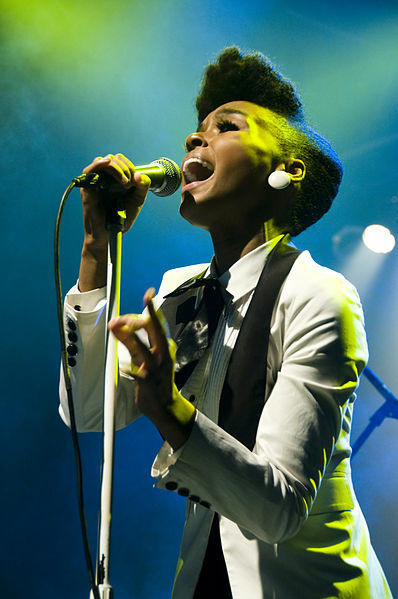 One of the most interesting artists in recent memory is tuxedo clad songstress Janelle Monáe. Monáe is originally from Kansas City, but moved to New York to study drama at The American Musical and Dramatic Academy. Eventually Monáe moved to Atlanta where she met Big Boi (Who is featured on her hit “Tight Rope”) and eventually through that connection signed Bad Boy Records in 2006. Eventually Monáe developed a following through a carefully managed career by Sean Combs and Big Boi. In 2007 Monáe released Metropolis which was a short lived four part concept EP. In 2008 Combs reissued the EP and entitled it Metropolis: Suite I (The Chase). This version of the album added an additional three songs including a jaw dropping cover of the Charlie Chaplin/Nat King Cole song “Smile”. 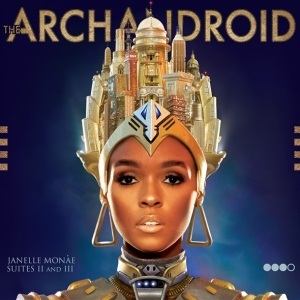 In 2010 Monáe released her latest album The ArchAndroid a collection of eighteen tracks that are loosely based on the 1927 Fritz Lang film Metropolis. Monáe co-produced the record with Nate “Rocket” Wonder, and Chuck Lightning. The album features the amazing singles “Cold War” and “Tight Rope”. Her style on the album is an odd mix of music that draws influence from 50’s and 60’s Soul and R&B, 70’s Glam Rock, and 80’s Pop. A truly awesome mix considering most artists who try to attempt putting all those sounds together 9 out of 10 times fails. This is not the case with Monáe whom has a very promising career ahead of her. She also just entered the Billboard Top 10 after a feature spot in fun.’s song “We Are Young”. It’s in reality a nice and useful piece of information. I am happy that you shared this helpful information with us. Please keep us informed like this. Thanks for sharing. I’ve always loved Janelle Monae’s style, it’s so unique! But I hadn’t realized until now how much I enjoy her music! Thanks for the great article. You’re Welcome! Check out more of the blog we update daily!